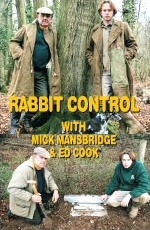 As a full time rabbit controller Ed Cook and his tutor Mick Mansbridge have experienced many different and difficult situations for their work. In this video their task is to clear a rabbit problem from a vast quarry site. The methods they use include long-net, purse nets, ferrets, dogs and shooting. Also, a drop box method of rabbit control is explained and used when a more discreet system is called for.